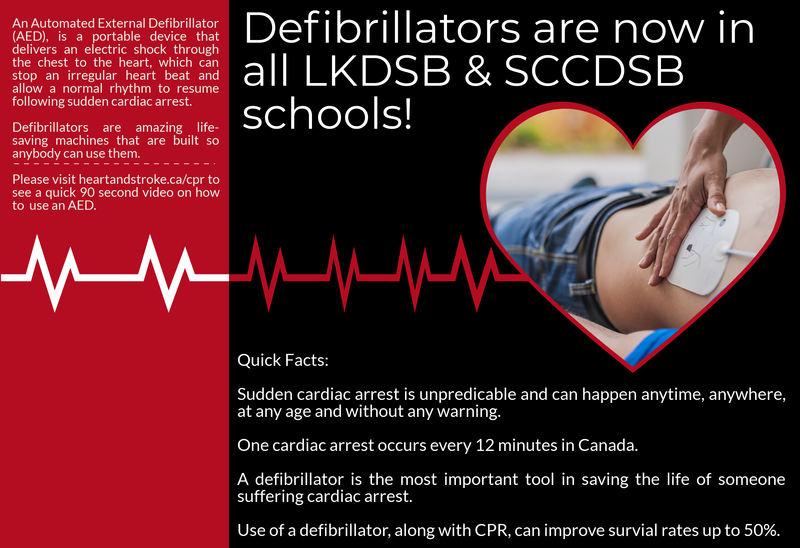 CLASS Shared School Services Chatham-Kent | Life-saving AEDs now installed at all our schools! Get the MySBI Mobile App! Life-saving AEDs now installed at all our schools! An Automated External Defibrillator (AED) is a safe, portable device that anyone can use – all you have to do is press the *on* button and the AED will tell you what to do. We are proud to announce these important devices are now accessible in every Lambton Kent District School Board & St. Clair Catholic District School Board school. CLASS Celebrates National School Bus Safety WeekJoin us in Waste Reduction Week! Email this page to a friend by completing the mail form below.